I’m one of those people who tries to find the “sweet spot” for different mediums – so I’ve begun some exploration of these new markers that have a couple interesting properties. 1) Colors like Zig Clean Color (nearly the same list, a few different; but with 2) a rubber brush nib and a bullet nib. 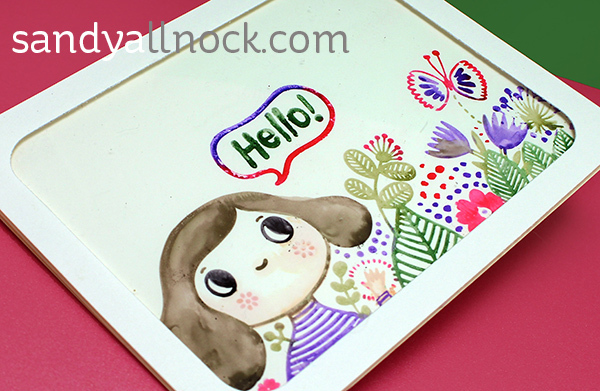 I wanted to see how they’d work directly coloring onto the stamps, and it worked relatively well once the stamp was “primed” – and works pretty decently on Yupo paper…be sure to come back tomorrow, I’ll show you how this works on Neenah! Watch the video below or click HERE to see it in HD on YouTube. If you’ve tried Yupo, you might be one of those folks who’ve emailed me asking if it ever dries or becomes non-sticky….that could mean you’ve got tons of pigment on there. This is a synthetic paper – which means it won’t dry like regular paper. So if that’s an issue for you, just build your card like a shaker – this would be a great solution for other mediums you want to “protect” from damage, too! PS I said in the video I’d share some coloring in other mediums – that didn’t happen yet. Eeek! It’s been quite the week, though I can’t tell ya why. But watch Instagram, I’m hoping to get a coloring break today and play with the Copics I busily re-inked yesterday! 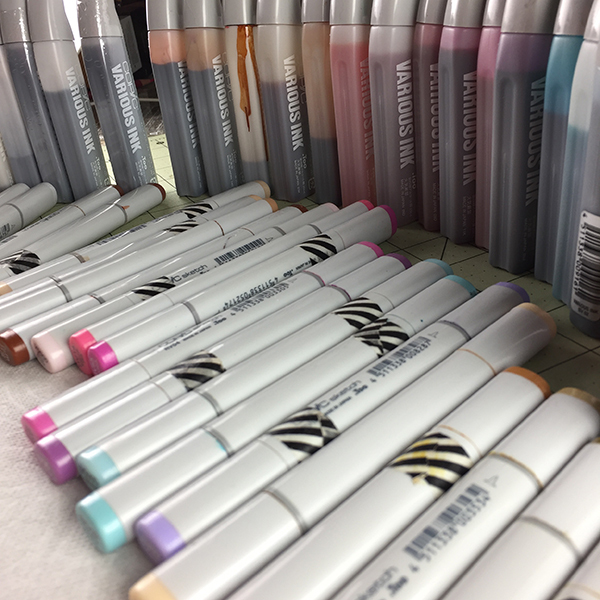 Don’t forget the sale on markers that’s still on this week – Copics are normally 25% off, and they’re an extra 10% off right now. 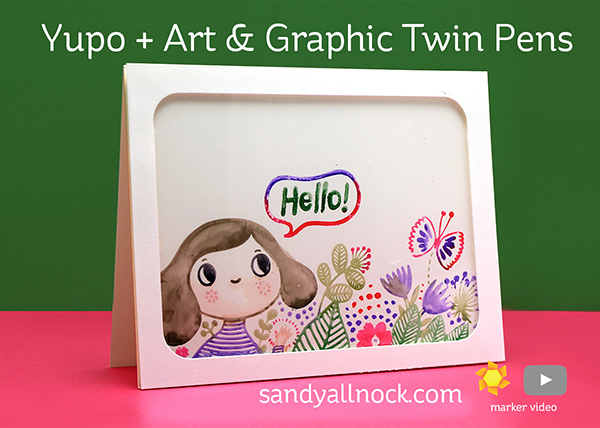 The Enveloper series of stamps is so cute – check them out! Gah! I’ve been on the fence on this set, and now… I MUST HAVE IT! So cute. I like your frame idea.